To your surprise, the caller announces an unexpected miracle; your loved one has survived, despite the apparent surety of their death, and should recover. 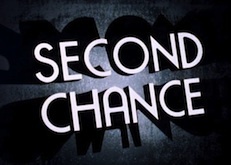 What would that make you think about second chances? Would you just shrug it off as good luck, and fall back into the routine of life, or would you reevaluate how much you loved that person and how you were going to appreciate every minute you could thereafter have with them? I’ve been a rather busy man the last several years, and I hope to return to that state of affairs soon enough. I have been so caught up in work, and the general business of life, that I’ve taken too little time to stop, and smell the flowers, so to speak. More accurately, I think, would be that I’ve taken far too little time to appreciate what matters most; my family. Of all the things that raced through my head, as I was about to be put under for what might be the ultimate, big sleep, NOT being able to fulfill my role as a dad and a husband, and leaving my family without my contribution, was the most frightening of them all. Sure, I have a pretty good life insurance package, but how could mere money play the role of “dad” and stand up as a disciplinarian, meaning the guy who says “no,” and “I don’t care what anybody else does,” when such things were called for? How could money look at and figure out how to diagnose and fix a “guy” or “husband” problem in the house, like a leaky faucet, or replace an electrical switch? This is not about a lifestyle change, but rather an attitude adjustment. In my case, I really have been given a second chance. I intend to use every bit of it to enjoy thing that matters most to me; my family. It’s not that my schedule is ultimately going to change much, if at all. It’s that I am going to be grateful everyday for the time to see and hear and touch them. This makes any little squabbles that we might have had in he past seem insignificant. And they now seem insignificant because they are, in fact, insignificant. What were the arguments that, at times, kept my wife and I apart, or at least kindled a simmering resentment that kept us from feeling that same passionate love we had before we were married? And even if it was not resentment, then certainly at least the unsurpassed ability to take the other person for granted. Honestly, right now, I can’t name them. They seem insignificant because they are insignificant. They always were. It’s just that my perspective has changed. I got an attitude adjustment. Now, those things my kid does that used to annoy me are part of the beautiful noise of life. Meanwhile, how does someone like me begin to thank all those whose love and support have meant so much? I simply cannot. Family, friends, Clients…I’ve even had calls from people who I am surprised could put my name to my face. The sheer size of this blog proves that I am never at a loss for words. Here, however, words fail me. They fall pitifully short of being able to convey the depth of gratitude that I feel. My greatest hope, however, is that the reader will heed the real message of this article; everyday is another chance. You don’t have to go through what I’ve gone through to learn that. Go home and tell your children, parents, partner, siblings and/or spouse that you love them, and that you’re glad they are part of your life.